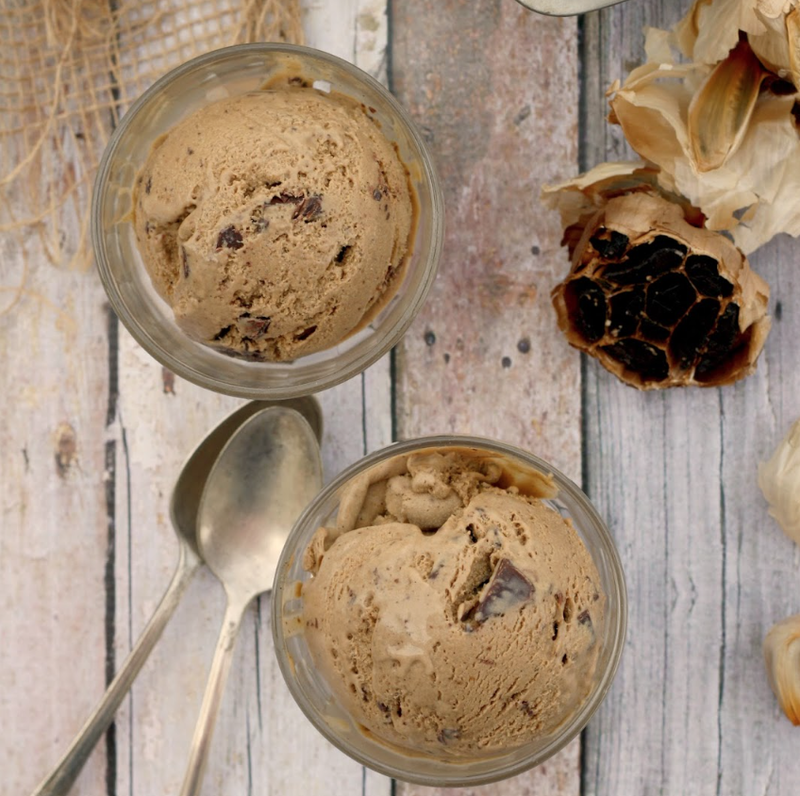 With last week's Black Garlic Hot Chocolate recipe and this week's Black Garlic Chocolate Chunk Ice Cream recipe, it's become readily apparent that we're trying to satisfy a sweet tooth! To be fair, we are joining the ranks of thousands of other Midwesterners who are upset about this wintery weather in April and longing for Spring. So in an effort to beckon Summer (it will come! ), here's a delicious homemade ice cream recipe for you to enjoy. Black garlic and chocolate go together like macaroni and cheese. The rich molasses and balsamic flavors in black garlic combine with chocolate's sweetness to make it the perfect unique sweet treat. Don't let the oddity of putting garlic in your dessert stop you! Thanks to All Roads Lead to the Kitchen for this amazing recipe!